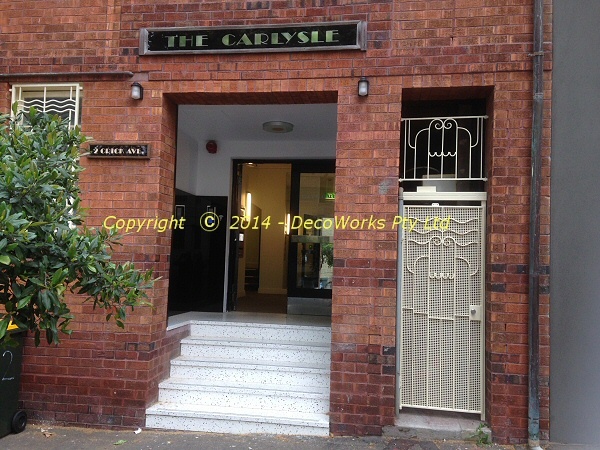 The picture on the right shows the restored Art Deco security door on a Potts Point Inter-war apartment building. Over the years several coats of paint had been applied to hide the corrosion that was occurring on the door and grille and additional security mesh and drop bar locks had been unsympathetically attached with pop rivets to ad-hock frames welded to the original Art Deco security door frame. The door and frame were removed and all extraneous additions removed. 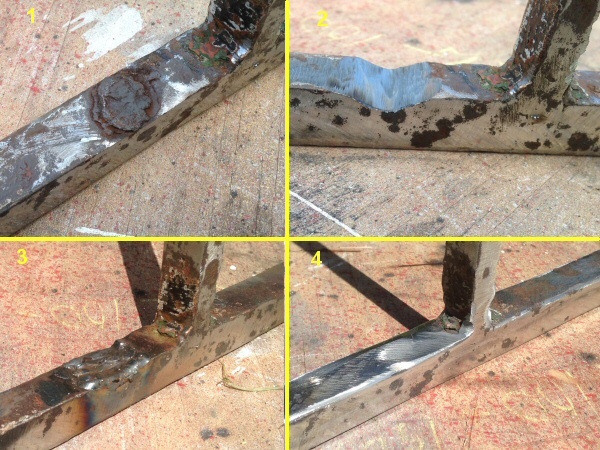 The paint was cut back to bare metal and several severely corroded sections (#1 bottom) were removed with a grinder (#2) and welded (#3) before being ground back into shape (#4). To restrict access to the back of the door a perforated steel panel with 11mm square holes was welded to the back of the door bars. 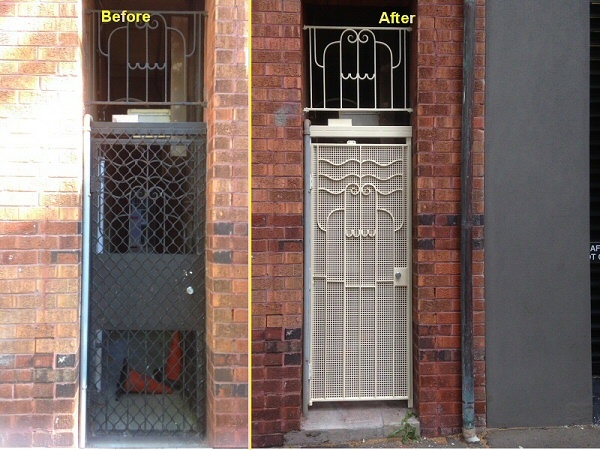 The Art Deco security door was then treated with rust converter before having an anti-corrosion etch primer applied. Finally two coats of epoxy enamel were applied to finish the job. This entry was posted in Art Deco, Projects and tagged door, restoration, security. Bookmark the permalink.